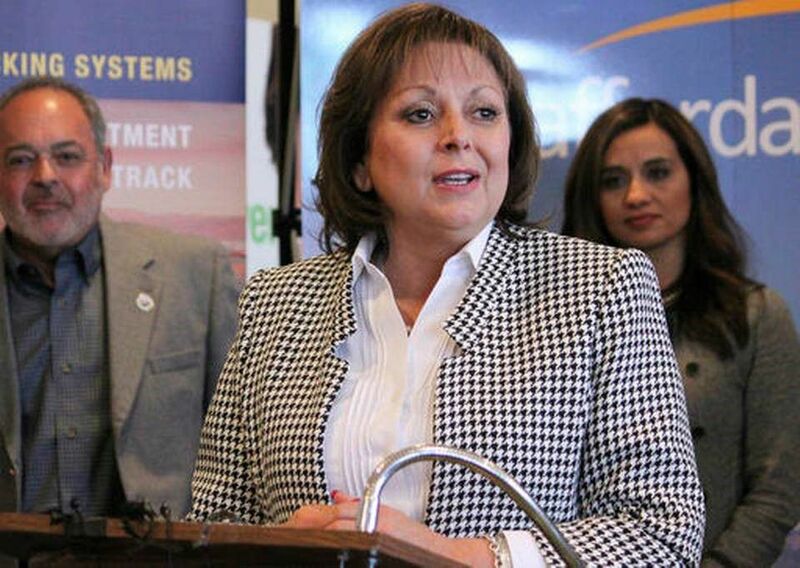 The nation's only Latina governor is denouncing a claim by a white former mayor of Santa Fe that she is a racist because of her effort to make it more difficult for people in New Mexico illegally to get driver's licenses. During a rally Monday for immigrant rights advocates, former Santa Fe Mayor David Coss told activists that moves by New Mexico Gov. Susana Martinez were based on racism and compared her to President Donald Trump — who Martinez sharply criticized during the presidential campaign. Coss told the audience that he was proud to live in New Mexico, a state "that rejected the racism of Donald Trump, that rejected the racism of Susana Martinez." The former mayor then said people had suggested that he not call anyone a racist. "Well, you know what? When you're a racist, and you try to implement racist policies in my community, it makes me angry," Coss said.